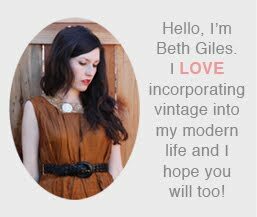 Vintage Clothing Blog | Vintage Wedding Dresses | Salvage Life: She's Here! Welcome little Fiona Lee! She's Here! Welcome little Fiona Lee! If you follow me on Twitter, Facebook or Instagram (search: salvagelife), you've probably heard the news...my second baby girl is here! Fiona Lee Giles arrived at 5:48am on Monday morning. She weighed 9lbs and is 21 inches long. Jeff, Ruby and I are all smitten with this little girl. I'm doing my best to rest and take a little time off, but I'll still be posting on the blog and listing new items in the shop. I may be a bit slower at responding to email, so thanks in advanced for your patience. First you recover and enjoy your baby-girl! The rest can wait. Life is too short and too precious for not soaking up the beauty of the moment. Congrats! Congrats! Doing the Happy Baby Dance. Congratulations! :) You look peaceful and happy in this picture.